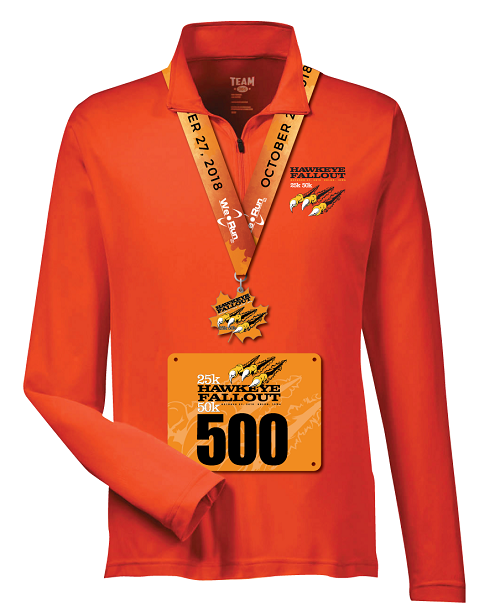 All participants will receive a finishers medal. The Post-race Party will be a pot luck as years past, so be sure to bring something to share with everyone and outlets will be available if needed. This race will be a cup-less event. One collapsible cup will be provided to each race participant, if required. Click here to view a photo of the course map. NOTE: The course is opposite to what was run in the Spring. In other words, the Fall route will be ran clockwise and not counter clockwise as it was in the spring. If you are interested in sponsorship opportunities, please visit our official race website at www.werunllc.com/races for more information. Awards will be presented to the following competitors. For event related questions please click on the "Contact the Organizers" button on the left hand side of this page. When this page loaded, the official time was 7:56:02 AM EDT.